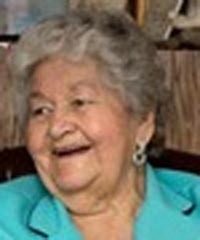 Verda Valera Edwards O’Crowley died Friday Sept. 28, 2012, at her home in Carey, Idaho. She was born in Jerome, Idaho, Sept 5, 1929, to LaFell and Marjorie Edwards. She was the sixth of eight children and is survived by her children, Dana O’Crowley of Utah, Tim O’Crowley of Oregon, Holly Rivera of Idaho, Andy O’Crowley of Arizona and Heather Crawford of Germany; two younger brothers, Carl Edwards and Lee Edwards of Idaho; and two foster children, Heidi Baldwin and Gretchen Stultz. She met and married Harry O’Crowley in 1949 and they moved to Picabo, Idaho, where they worked and lived on the K-K ranch for nearly 40 years. Together they created a wonderful home for themselves and their children. Many memories were made on that ranch while she cooked for the ranch crew and raised her family. In 1988 she and Harry both retired and moved to their home in Carey. She went right to work again, creating another beautiful home for themselves. With retirement came more opportunities and time to enjoy her love of travel, however. She was very blessed to see some of the great sites of this world, visiting most of the United States and many countries abroad. Her home was filled with souvenirs from all of these adventures. Verda was an example of hard work, service and care for others and will be missed by all. Funeral services will be held Friday, Oct. 5, at 11 a.m. at the Carey LDS Chapel. Arrangements are under the care of Wood River Chapel. Friends and family may visit www.woodriverchapel.com to share memories, leave a condolence and share photos.